The original commercial for Magic, seen below, was only aired for one day before it got pulled off the air. Angry parents from across the country called their local stations, wanting to know just what the hell they were trying to pull, giving kids nightmares like that. So was the commercial really so gruesome, so violent that thousands of children lost sleep on the same night for the same reason? Nope. 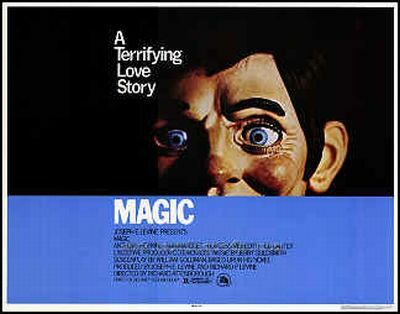 It was just a tight close up of a ventriloquist’s dummy, reciting a macabre poem, with a bit of Jerry Goldsmith’s beautifully eerie score—complete with the creepiest harmonica ever recorded—in the background. That was plenty.